Asura Cave was developed as a retreat center by Kyabje Tulku Urgyen Rinpoche following the explicit wishes of His Holiness the 16th Karmapa. Despite the challenging location, the vision and command of the Karmapa were fulfilled. For a detailed history of this extraordinary place, please see here. 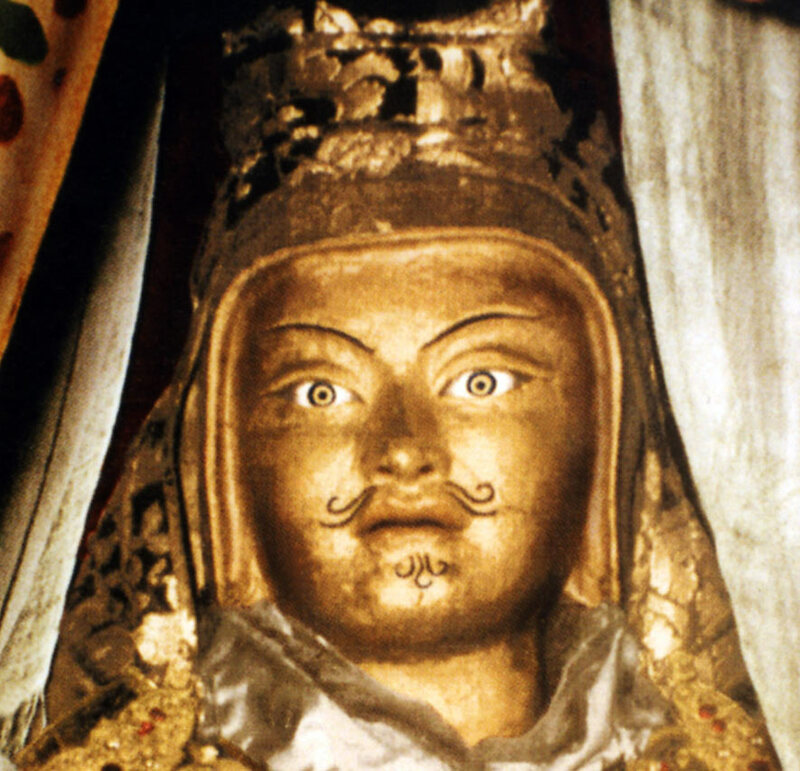 The sacred site of Asura cave, blessed by the practice and realization of Guru Rinpoche is where the monks from Ka-Nying Shedrub Ling undertake the traditional three-year retreat. A detailed description of the three-year retreat is available here. 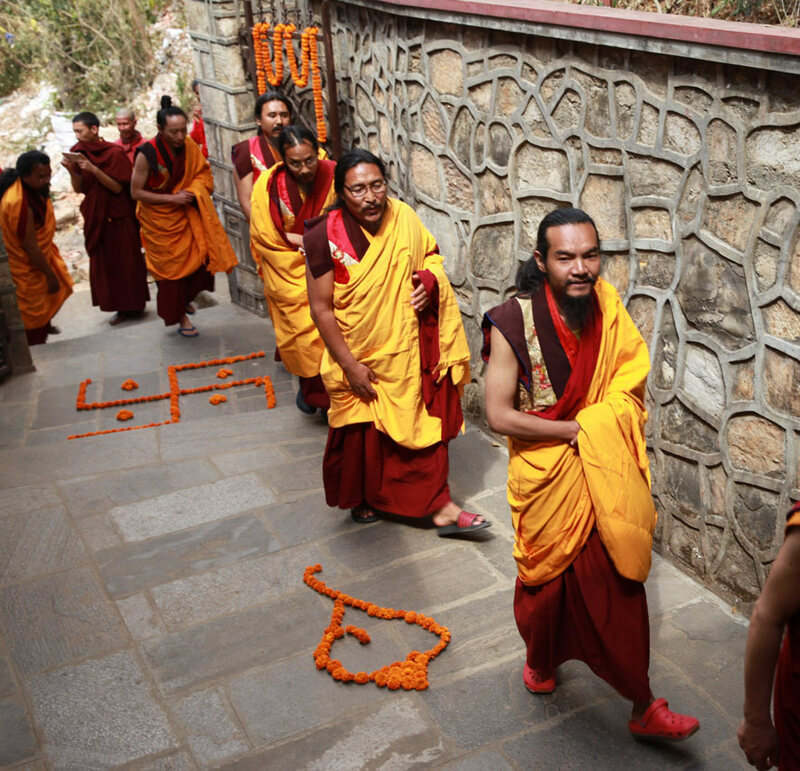 A significant pilgrimage site, Asura Cave monastery also welcomes short-term retreatants. While at Kyabje Chatral Rinpoche’s retreat center in Pharping, His Holiness Dudjom Rinpoche once gave a brief explanation of the sacred sites of Pharping to Kyabje Tulku Urgyen Rinpoche and commented that they are equal in statue to Bodh Gaya. On this occasion, His Holiness Dudjom Rinpoche received an auspicious sign and declared that the Buddhadharma would flourish in Pharping. Anyone who visits the sacred pilgrimage site of Asura Cave can experience and participate in this flourishing.